The idea for this company hatched when I (Founder & Owner John Saparito) was a high school junior in 2007. As we all know, that is the year the economy began taking a horrific downturn in the face of the real estate bubble collapse and the auto industry collapse and bailouts. Many were left without jobs, and the future looked grim from where I stood, a bright-eyed, idealistic teenager on the verge of adulthood. I started landscaping part time to make a few dollars for myself and feel a sense of pride and accomplishment. I embodied the grassroots spirit, putting fliers on street poles and riding my 10-speed to office max to make copies. I handed out my fliers for my infant landscaping company at community events and celebrations, only to watch people throw them on the ground or in the trash as fast as I put them in their hands. It was discouraging. I felt like quitting many times. But I didn’t. The year is now 2008, and I had a choice to make: Take the scholarship money I got for college and go the traditional route into a seemingly failed economy, or try to do my own thing with this business plan. I decided to go for it. I made some money from the last year’s efforts, and I reinvested it all into my landscaping business. I wanted to do something different than the other landscaping companies in town, offer more on the customer service level. That season, I offered free fertilizer to any person who signed up for lawn care. It worked slowly. By the end of my senior year in high school, I accumulated seven regular clients. It was nice, but far from a full-time job. To offset my earnings, I took a phone sales job the summer of 2008 after I graduated high school. Selling products on the phone really honed my communication and sales skills, enabling me to bring that newfound skill set into my landscaping operation. I balanced both jobs until December of 2009 when the sales company closed its doors and I was officially unemployed. It was a blessing in disguise. I focused my efforts the rest of that winter into reforming and re-launching my landscaping business in the coming spring as a truly professional operation. I had a great realization, too: People don’t find landscapers on fliers on street poles, they find them online and on their iPhones. I immediately bought the domain greensidelawncare.com and registered for an official LLC. Greenside Lawn Care was officially born! 2009 was a formative year. But in 2010, we really took off. I purchased a commercial mower and trailer in the lead-up to the 2010 season. That summer we had record sales. Business grew weekly. Neighbors talked to neighbors about the new lawn care kid on the block, and word-of-mouth paid dividends. We provided better customer service. We expanded our offering to include more comprehensive landscaping and lawn care services, like aeration, dethatching, grub control, retaining wall installation and more. We set ourselves apart from the competition, and the customers loved it. 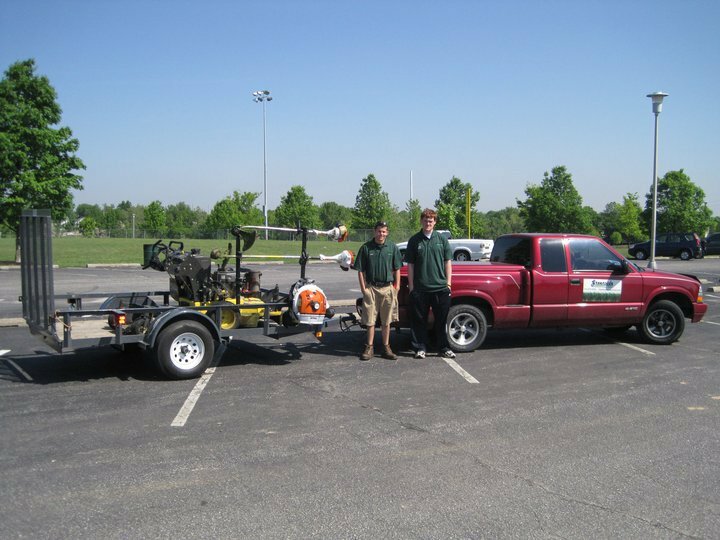 In 2011 we bought a new truck, trailer, mowers, edgers, weed whackers, blowers, snow plows for winter work and hired our first full-time employees. I was now able to give others opportunity. I was living a dream! And that dream is still intact. 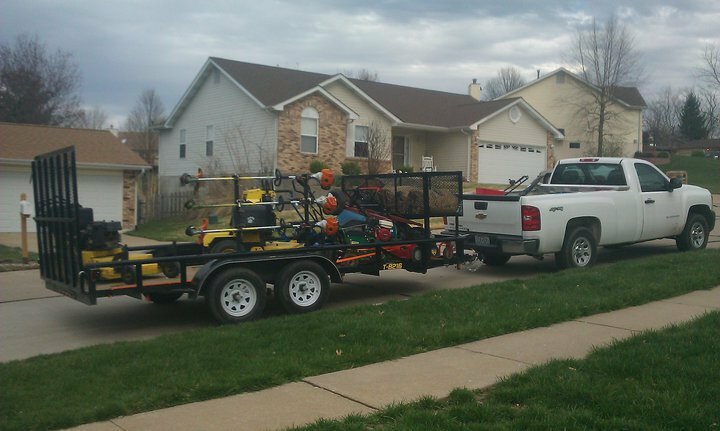 Here and now, in 2014, we aim to keep the business growing and providing the best, most affordable landscaping and lawn care services to the loyal and amazing folks in and around St. Charles and O’Fallon, MO. Thank you to all of our customers who supported my business over these years. We truly and greatly appreciate everything!